Providing of investment quotas can trigger the programme on large scale construction of fishing ships at Russian shipyards. However, quality and time framework is essential for to ensure reasonable substitution of imports in the field of designing, construction and equipment of vessels. 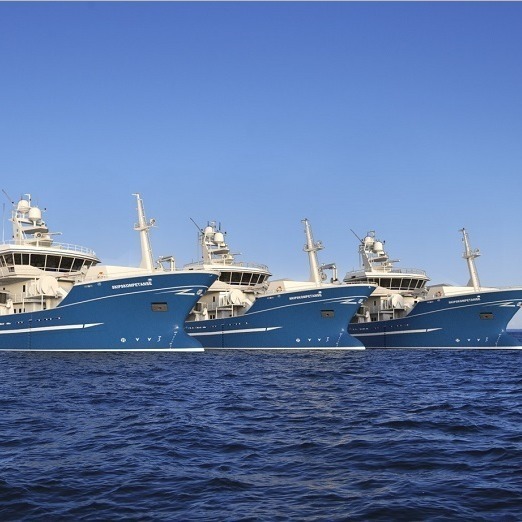 Russian Federal Fisheries Agency (Rosrybolovstvo) earlier said up to 20 large-size and more than 80 mid-size and small-size vessels are expected to be built by 2025 with investment quotas. The quotas encouraging investments are applied for the first time in Russian shipbuilding and in global practice. “This can bring substantial results”, says Peotr Savchuk, deputy head of Rosrybolovstvo. The meeting of the Rosrybolovstvo Commission on investment quotas is scheduled for December 2017. According to Rosrybolovstvo head Ilya Shestakov, RF Government approved all regulations by 1 June 2017. The bid campaign kicked off in June 2017. The bids will be collected for half a year with the Commission to make the list of selected projects in December. To take part in the procedure the bidders should provide financial support making 5% of the investment project’s value – monetary assets or bank guarantee. If total number of bids exceeds the quotas, there will be held a reversed auction. Quota limits will be determined by Rosrybolovstvo, non-distributed volumes will be shifted to the next year. Catching is allowed only when the investment facility is put into operation. Experts say investment quotas will let attract over RUB 200 bln in 5-7 years for construction ships and coastal plants without extra budget expenses. More than 100 vessels and 10 plants can be built in the result. That will let increase the industry’s annual contribution to GDP by over RUB 50 bln. According to the Agency, about 30 bids for construction of fishing ships are under consideration. The contracts have been signed for construction of 9 vessels with option agreements signed for 10 ships and contracts for 6 to 8 vessels nearing the final approval. In particular, Vyborg Shipyard (part of United Shipbuilding Corporation) has started the construction of a series of processing trawlers of Project ST-118L-ATF (Russian Maritime Register of Shipping). Ceremonial laying down of the lead ship was held on 31 May 2017. A new trawler is designed with regard to its operation in the freezing seas. The hull ice strengthening will enable effective fishery in the Northern and Far East sea basins. It will be fitted with powerful cargo cranes, a trawl complex of the latest generation and an automatic palletizing system of products in the hold to minimize the time for unloading the catches. An automated plant for processing and production of fillet, fish meal plant, equipment for fish oil production and a canning plant are to be installed on board the trawler. Main particulars: length overall – 86 m; breadth – 17 m; moulded depth – 6.75 m; deadweight – 2992.5 t; speed – 15 knots. RS class notation: KM✪ Ice3 AUT1 (REF) fishing vessel. The backlog of orders of Vyborg Shipyard numbers 14 trawlers including option ships. Fishing Collective Farm named after V. Lenin (Petropavlovsk-Kamchatsky) has also announced its plans for construction of three trawlers in 2018-19. The first ship is to be delivered in September 2018, the second one – in February 2019, the third one – in April 2019. The trawlers have been laid down by Kaliningrad, Russia based Baltic Shipyard Yantar (member of United Shipbuilding Corporation). The contract for construction of three trawler-seiners of Project SK-3101R was signed by the shipyard and Fishing Collective Farm named after V. Lenin (Petropavlovsk-Kamchatsky) on January 22, 2016. The first two vessels named Leninets and Komandor were laid down on July 8, 2016 and on November 25, 2016 accordingly. The keel-laying ceremony for the third ship, the Udarnik, was held on 25 March 2017. 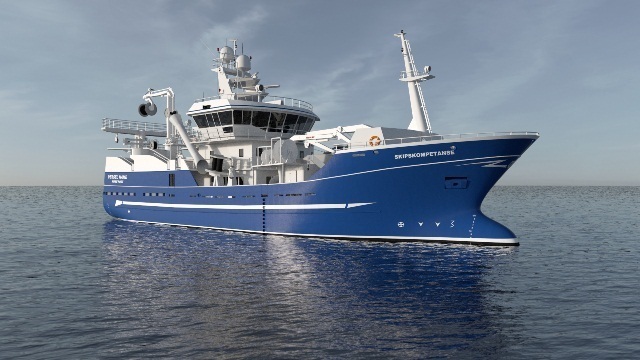 The SK-3101R purse seine / pelagic trawler was designed by a Norwegian engineering company Skipskompetanse A.S. that provided design, engineering drawings and technical assistance. The fishing vessel particulars: length overall: 50.6 m, beam: 12 m, main engine rated power about 2200 kW. The vessel was designed for trawl, seine and purse seine deep-water fishing. The issue of designing and import substitution are brought up amid the ambitious plans on fleet renovation. According to Aleksandr Solovyov, Director General of Vyborg Shipyard, it is necessary to encourage foreign manufacturers of major shipboard equipment establish their production facilities in Russia. The shipyard is already in related negotiations. When speaking about designing, the head of the shipyard said that Norwegian projects are the most popular today while investment quotas can be provided only for Russian projects. A solution proposed by Aleksandr Solovyov implies the development of detailed design and project documenttion by Russian companies on the basis of a foreign concept design. Meanwhile, Russian designers say their projects are quite competitive. In its turn, Rosrybolovstvo has recommended Central Research and Development Establishment “Kurs” (CNII Kurs) to provide a list of available shipboard equipment offered under the proramme on import substitution. By August 20, Rosrybolovstvo will ask the Ministry of Transport of the Russian Federation to look into applying zero-rated VAT to fishing ships registered by Russian Maritime Register of Shipping. Besides, the Agency has addressed Gazprombank Leasing with a request for a leasing mechanism that could be applied when building fishing ships and fish processing facilities.